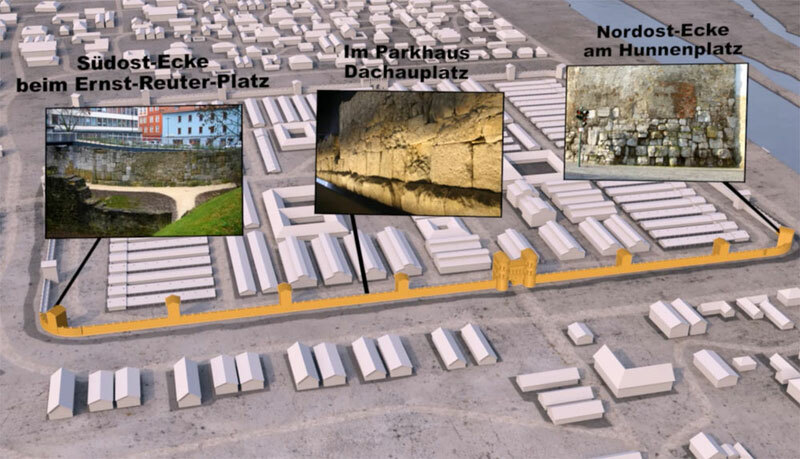 The “document Legion camp wall” project comprises of two separate portions- the 3D laser scan measurement and the multimedia project. 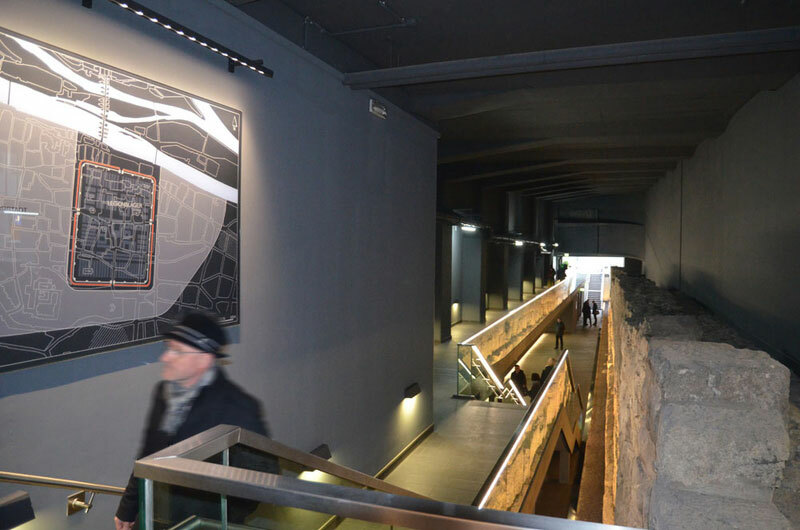 In the underground section of the car park Dachauplatz and on the northeast and the southeast corner of the former Roman fort, visitors can freely access the “document Legionary fortress wall”. It presents with impressive staging the remains of this imposing fortress and fort wall of large square stones. 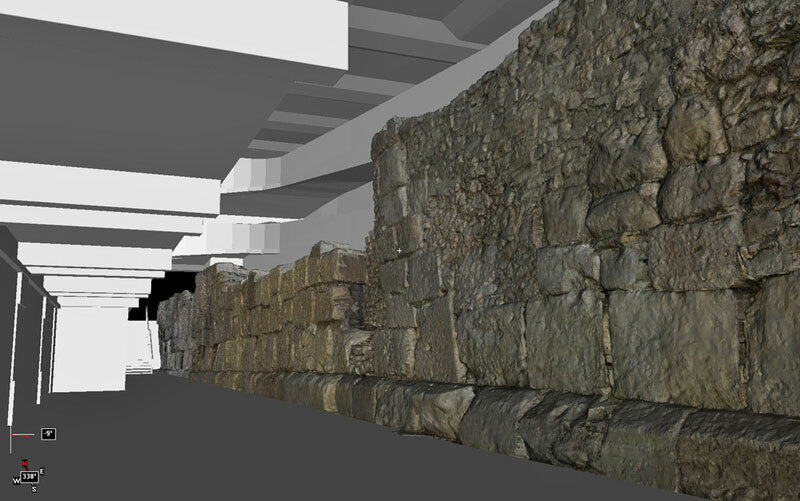 The three-dimensional documentation of the structure was performed using 3D laserscanning technology with additional photography, photogrammetric recording and tachymetric survey as well as surveying control points. 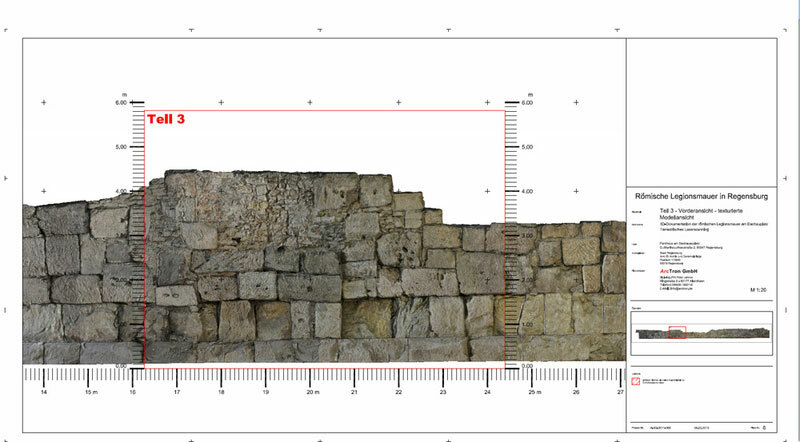 The outcome was a photo realistic textured 3D model and orthophoto views of the fortress wall. The digital maps were supplied in STL, VRML, DXF, aSPECT3D formats. 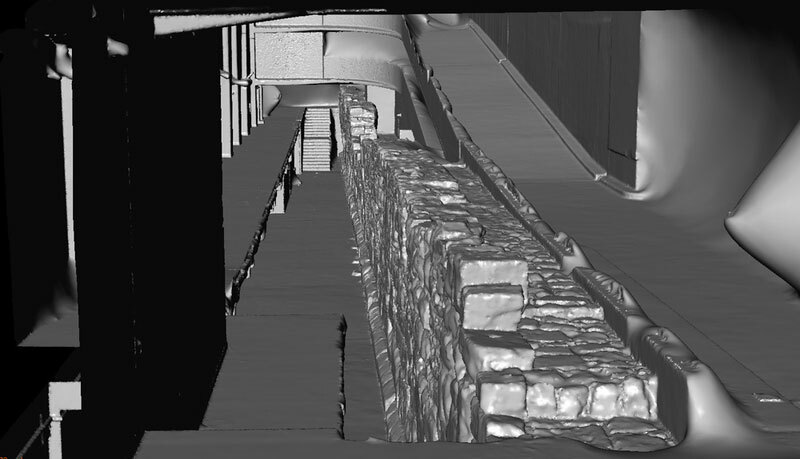 This high-resolution textured 3D model of the fort wall provides an excellent foundation for further historic preservation processing. With the 3D software aSPECT3D our customers can three-dimensionally map finds and generate in scale maps. 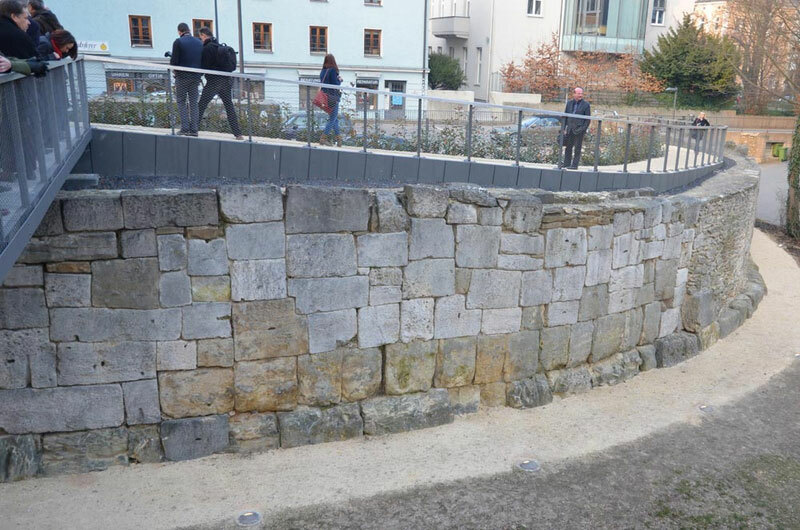 The project “document Legionary fortress wall” came to life marking the restoration of the east side of the wall in the underground part of the parking garage at Dachauplatz, Regensburg. Foreclosed from traffic, large 2D and 3D monitors along the fortress wall show multimedia productions about the history of this once very impressive monument. Located directly at the newly illuminated Roman wall, this information centre, with its museum area, shows different films incl. visualisations and graphics created by ArcTron’s multimedia team. 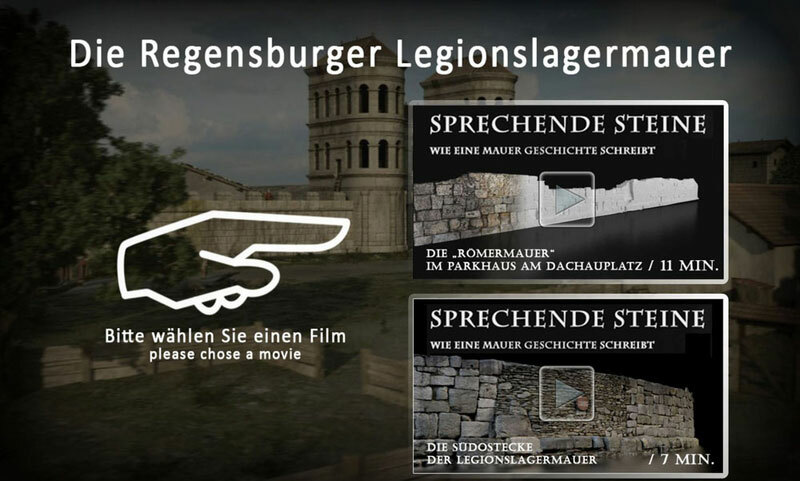 The films portray the significance and history of this Roman fortress wall. 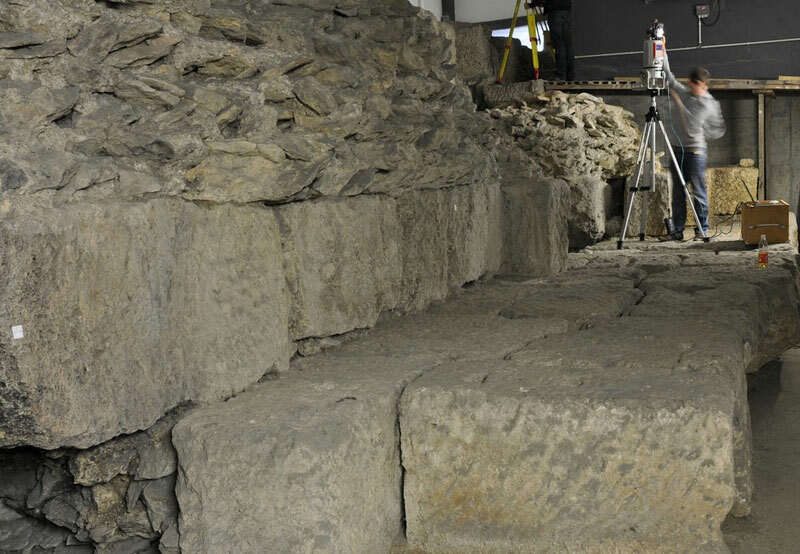 Visitors are taken back in time viewing reconstructed scenes in Roman times integrated along the impressive remains of the eastern Legionary fortress wall.